BLUMORPHO accelerates innovation in reducing technical, market and financial risks. BLUMORPHO is a private innovation and business accelerator. It drives innovation by bringing its understanding of economic and industrial challenges and its global connections to the smart solutions ecosystem. Unlike incubators or accelerator programs that invest in promising startups, BLUMORPHO focuses on reducing the technological market and financial risk of adopting innovation. Through its Fast Track Open Innovation service, it facilitates the cross-border discovery of radical innovations and tests their market feasibility for industrial firms seeking new ways to create value at low risk. Through its lean innovation service, it provides innovation providers with resources to swiftly move from product concept to product demonstrator, thus enabling the innovation provider and its lead customers to reach quicker ‘Go/No go’ product development decisions. BLUMORPHO links innovation providers with private investors in providing them with the relevant support to reach the expected maturity by private investors. BLUMORPHO uses a sophisticated set of algorithms to manage its marketplace ‘Offer-Match-Demand’ exchange process, which stores today a portfolio of 200 innovations, 42,000 corporate contacts, 7,400 startups, 200 clusters and more than 300 investors and business angels, as well as 20 years technology and market know-how. The Marketplace is evolving and increasing daily. It covers more than 24 vertical businesses and covers the full value chain. BLUMORPHO is a private Innovation Hub connecting innovation stakeholders at Pan European and global level in focusing on businesses and value creation opportunities. 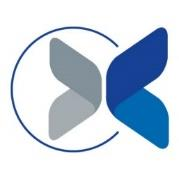 BLUMORPHO has been created based on results of the COWIN project (CSA – FP7) dedicated to support the commercial exploitation of FP6 and FP7 research projects results. BLUMORPHO is part of the Yole Développement group. Yole Développement is a recognized strategic and marketing consulting company active in semiconductor, photonics, microelectronics, advanced packaging. BLUMORPHO is a demonstration of European projects’sustainability. The company was founded after the success of the COWIN Coordination and Support Action funded by FP7 to accelerate the technology transfer of research results by the European industry. Géraldine Andrieux was coordinator of COWIN and became Founder and CEO of BLUMORPHO.